Can I play a hard copy of a game expansion with a game bought on Steam? I have Fallout 4 on Steam. I just saw a good deal in a physical store for the DVD expansion Far Harbor. Can I activate that on Steam or even play the expansion with my Steam copy? Yes, you can. That's because the hard copy version of Fallout 4 is really just a Steam copy in disguise. The Fallout 4 DVD box contains a Steam code, which you must redeem. You will also need to download the vast majority of the game from Steam, because the DVD simply doesn't have the data density required to hold Fallout 4*. You don't even have to use the DVD at all. You can simply redeem the code and install the game from Steam without ever putting the DVD in your drive. *: The Fallout 4 DVD contains 5.21 GB of data, which is less than 10% of the full game. 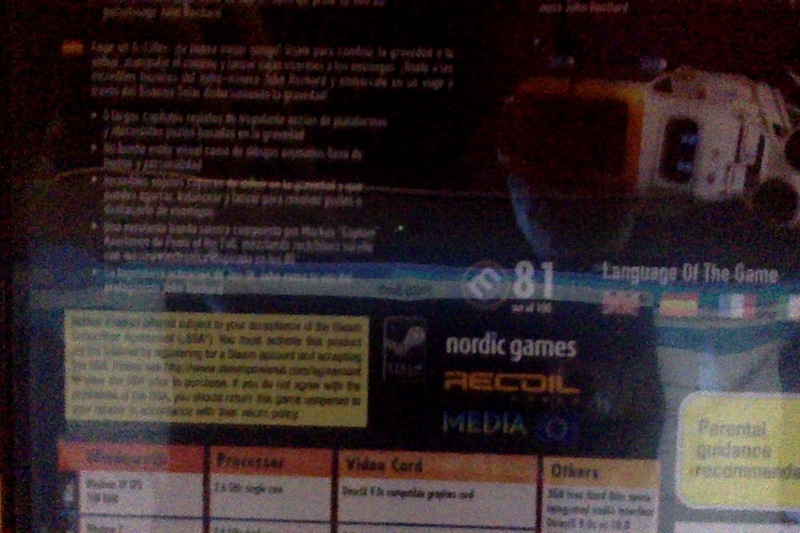 If a physical copy of a game is redeemable on Steam, there may be a little Steam logo and some info somewhere on the back, like shown here: Physical copy of Rochard, the Steam logo is near the center of the image. Apologies for bad image quality, taken with computer camera. I noticed, when looking for a game to show above, that sometimes instead of a logo is just text. So, thoroughly check the back for DRM details. Not the answer you're looking for? Browse other questions tagged steam fallout-4 or ask your own question. What can I do with the physical copies of my Steam games? Have RCT3 retail on my PC, bought RCT3: Platinum from Steam. How should I set up? Is it possible to activate a DVD copy of Dead Space with Steam? Does Wasteland 2 physical DVD includes Steam copy? Battle.net / Steam: Physical copy allowing use of digital download? Is the physical copy of Battleborn significantly different from the version Steam sells?